iData Research will be attending the 2019 International Dental Show in Cologne, Germany. The event takes place from March 12th to the 16th, 2019. Our team will be walking the show floor, discussing with manufacturers and physicians, and investigating how the dental industry is changing. Our staff will be providing their impressions directly from the show floor in order to showcase new innovations and news that will help shape the dental market. In addition, these conferences offer the rare opportunity to actually see our research first hand. Our team will be able to let you scroll through the reports, browsing real data, and answer any questions you have. Please contact us to set up a meeting with our dental business area manager. 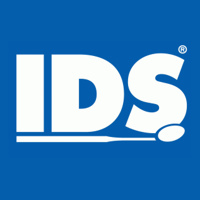 With an opportunity to talk with over 160,000 visitors, and walk through over 2000 exhibitor booths, IDS is the place to be in March, and we’re thrilled to meet with you there. For the latest in the world of dentistry at IDS, stay tuned to iData Research.